Bomb Seeds - Cluster Bomb. Free US delivery. 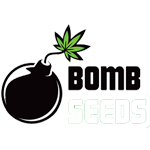 Cluster Bomb is the latest addition to the bomb seeds range. It encompasses everything that Bomb genetics have become famous for - huge-yielding, fast-growing and powerful enough to blow you away! This truly explosive strain was developed using the original Sensi Skunk #1 and the legendary Cinderella 99 which was then crossed with our very own exquisite Bomb #1. The resulting genetics are truly awe inspiring; A heavily Indica dominant hybrid that has power and yield but thanks to the Cindy 99 genetics finishes faster than many other super high yielding strains available. The smoke is beautiful, a rich skunk aroma with hints of orange and strawberries that has a powerful body hit, but still maintaining some of its Cinderella, cerebral, psychoactivity. The stone from Cluster Bomb is long-lasting and intense.